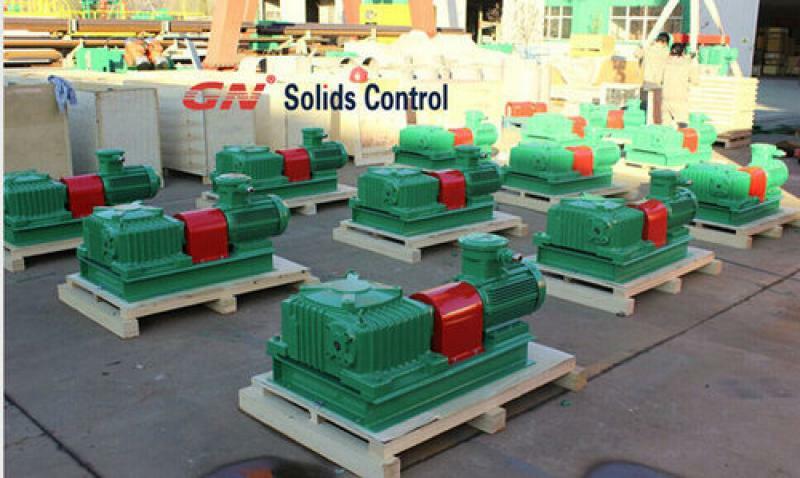 GN Solids Control Co has been working on solids control equipments and waste management systems for many years, and many clients are keep purchase these solids control equipments from GN every year due to the excellent quality and rest assured after sales maintenance. eir work over drilling rig. 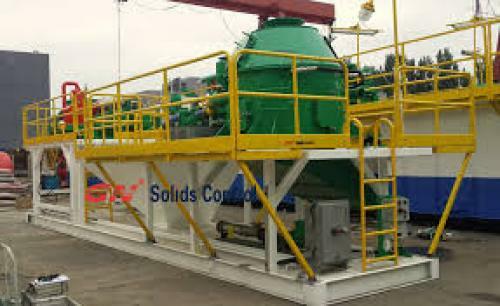 When we cooperate with client at the beginning, we showed our willness to have a win-win cooperation by providing solids control equipments with good quality. And this year this gave us a large order which including 8 sets of GN shale shakers ( the type is GNZS594E-HB), 4 sets of GN vacuum degassers (the type is GNZCQ 270), 4 sets of GN desanders, 4 sets of GN desilters, 32 sets of GN centrifugal pumps as well as 48 sets of GN mud agitators and 8 sets of GN mud hopper. 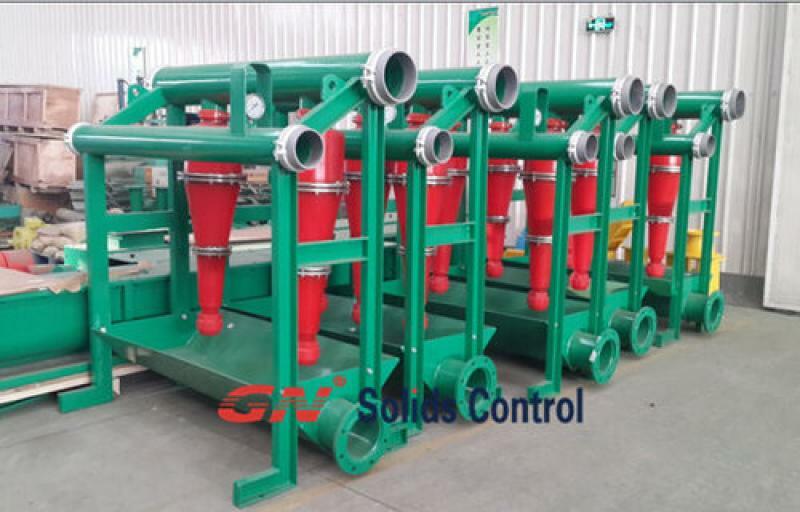 For the shale shaker, we designed and manufactured a mud distributor for two sets of shale shakers, here we call it dual connection GN shale shaker. 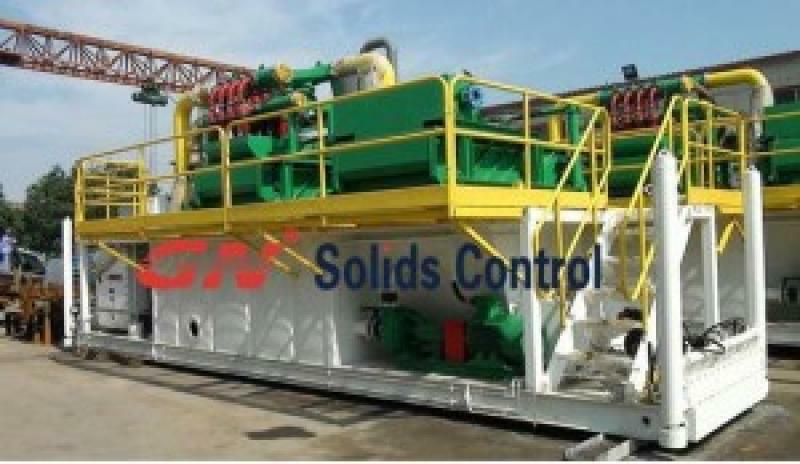 So our client has 4 groups Dual Shaker, which has a very large treating capacity, because even one set of GN shale shaker can treating the drilling fluids upto 616 GPM m³/h. Based on the above solids control equipments, it is obvious to know this is a three phase solids control system that our client wants to use. GN shale shaker can separate solids to 100 microns. For this type of GNZS594, the dimension of shaker screens is 585mm X 1165mm, so the screens are replaceable with Swaco Mongoose screens. 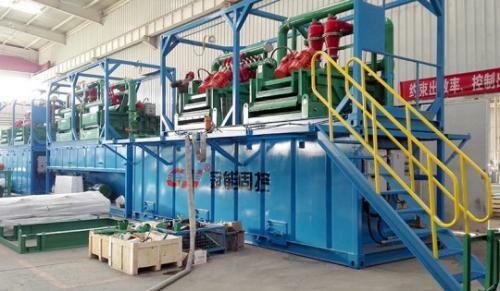 The mud come from shaker will be sent to vacuum degasser to eliminate the air in drilling fluids. By using GN vacuum degasser, the drilling mud can be kept in a steady viscosity. GN desander and desiler can separate solids to 20 microns. The cylones on desander and desilter are all made of PU, which is really helpful to have a long time lifespan.